The WISH MedSpa offers the medical-grade skin care lines: SkinCeuticals®, SkinMedica® and Zein Obagi® for our facials and skin treatments. Our WISH MedSpa clinicians will provide guidance to help you find the best skin products for you to help your skin feel good, help your overall skin health, and offer visible results. 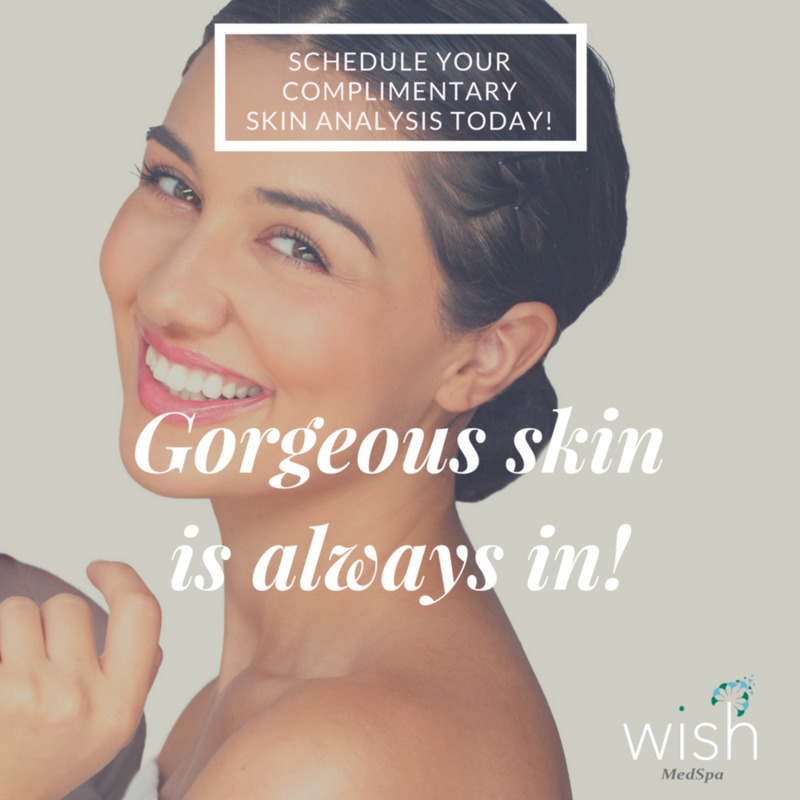 Our Complimentary Facial Analysis is a consultation with one of our WISH MedSpa clinicians to find the best medical grade skin care line to help enhance your facial features. Perfect for an introduction to facials. The Mini Facial consists of a skin analysis, cleansing, exfoliation and hydration. There is NO downtime! The dermaplaning facial removes dead skin cells and unwanted facial hair, and leaves you with glowing skin! This facial includes a customized mask. There is NO downtime! A facial that is designed for problematic skin. Exfoliation and purifying mask treatments are used to help calm breakouts from acne and stress. This facial includes extractions. There is NO downtime! A personalized facial that addresses your skincare needs that includes a cleansing and hydrating mask. This service also includes a relaxing shoulder and neck massage. There is NO downtime! This facial treatment will repair the skin barrier, promote healthy hydration and retention to skin issues. This exfoliating, yet hydrating facial includes a superficial peel and an aloe hydration treatment with zero downtime. It will improve your skin’s tone and texture, give it better color, and diminish some discoloration (dark spots, pigmentation, or sun damage). There is NO downtime! The MPP is a one-step facial with a peel designed to control breakouts, while improving texture. Formulated with 30% or 20% salicylic acid to refine pores and help reduce the appearance of acne, this powerful peel also features 3% glycolic acid in each formulation to aid in the improvement of rough texture, blotchiness and uneven skin. There is NO downtime! The Pigment Balancing facial with a peel is a customizable brightening formulation targeting hyperpigmentation to treatments. It combines high-performance brightening and anti-inflammatory agents with peeling acid solution to accelerate cell renewal. This corrective peel also diminishes the appearance of both diffuse and localized hyperpigmentation. There is NO downtime! Born from decades of skin cancer research that led to pivotal breakthroughs in antioxidants, their high potency formulas are concentrated in pure actives and proven to penetrate optimally into skin. Made in the USA, their clinical skincare is used by dermatologists, plastic surgeons, and medspas for daily homecare and to complement aesthetic procedures. SkinCeuticals® formulates to correct signs of aging, protect healthy skin, and prevent future damage. Founded by Dr. Obagi in 2007, ZO® Skin Health, Inc., was created to provide physicians and patients with the world's most innovative and effective skin health solutions. Dr. Obagi has created products with technologically advanced ingredients and even more effective formulations, designated into two categories: ZO® Skin Health and ZO® Medical. ZO® Skin Health products maintain the results of therapeutic treatments and provide effective daily skincare and protection from the environment, while ZO® Medical products have been optimized to treat a range of skin disorders and chronic conditions.